Not everyone has a strong opinion on this. And those who do seem to clearly be in one of two ‘general’ camps on Twitter. 1) “Starbucks is in the coffee business, so stick to coffee and stop trying to force your agenda on society.” Note: many tweeting this sentiment hate coffee anyway. I would suggest the answer is NO! And here’s why I say that. Churches in America should be having this talk. They should be the ones initiating the discussion, both within their congregations and in their local communities. This is a leadership issue. Can it get messy and uncomfortable? Yes. Will the result be circles of hugs and everyone singing Kumbaya? Not likely. If you’re a church leader, please hear this. Of all the places to talk about race, ethnicity and nationality…the Church should be the safest and most authentic place to do this. If it isn’t then I would suggest that we have some work to do in the areas of integrity and character. As I write this I’m sitting in a Starbucks located in the deep South. I have seen Blacks, Whites, Hispanics, and Asians all gathering for coffee and community. And you know what? We all seemed to get along just fine. Why shouldn’t we try to cultivate a similar environment in our churches? We should be able to worship, serve, and learn together. Why is this not very common? 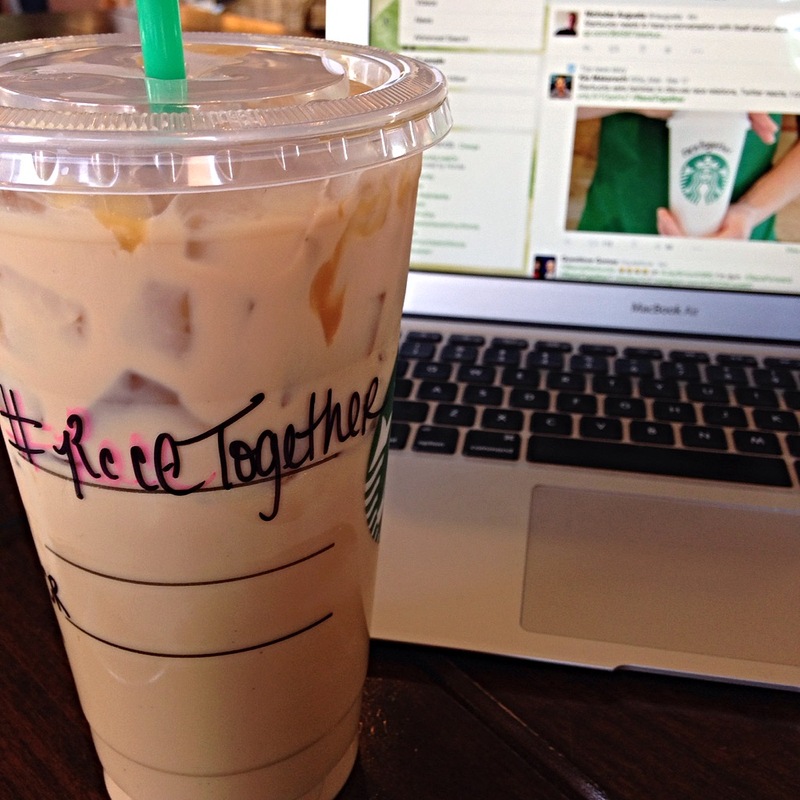 I could really care less about Starbucks starting the recent hashtag trend. It will fade away eventually. But the Church would be wise to adopt the discussion as a normal and healthy part of growing together in the family of God. Please leave a comment below. Who’s doing this well and what can we learn from them? I feel the church should be able to discuss anything and respect those discussing different opinions. And if there is no Biblical foundation to their opinion then we should allow the Holy Spirit to swell within us to be moved to compassion and piety for their misguided faith. And pray for for clarity to be given on both sides. Very few can rest in the self assurance of who we are in Christ and our purpose is to leave opinion at the foot of the cross for Him to bring true clarity. We are to reach out to each other in our different stages of growth and wait for God’s purpose to bring about understanding and restoration. That is the true test of a church body.